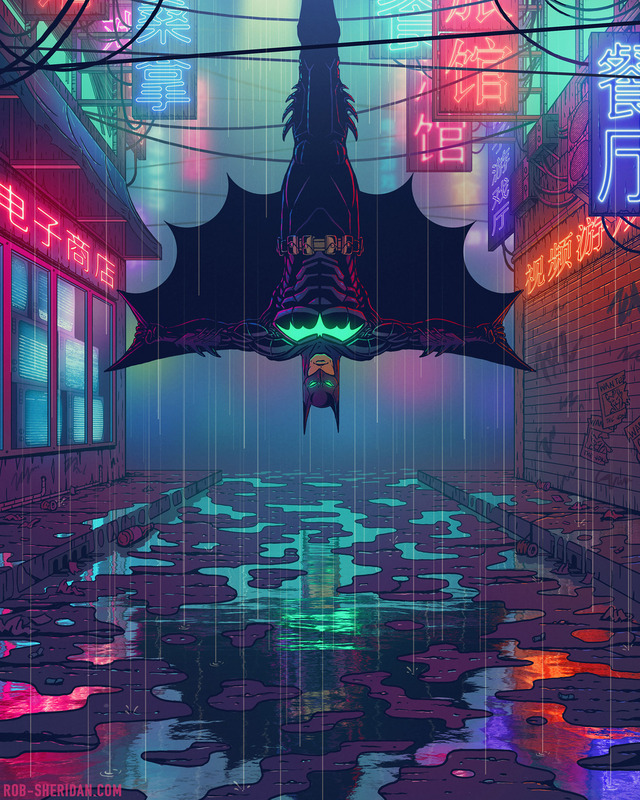 "Batman" (2017). Animated illustration, from a series of cyberpunk-influenced pop culture portraits. Prints available.